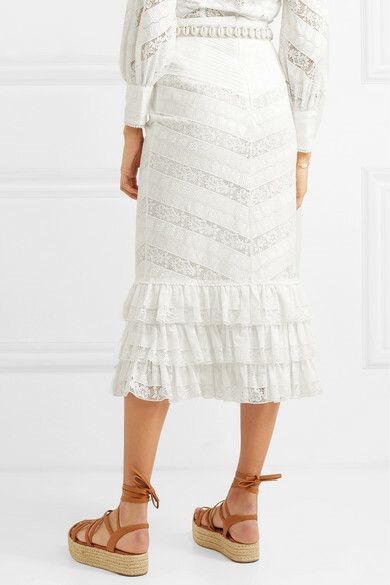 Zimmermann's white 'Veneto Perennial' skirt is perfect for any event this summer - especially when paired with the matching blouse. 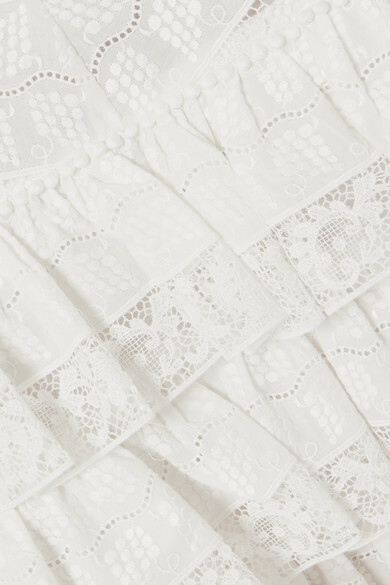 This midi style is cut from airy gauze with beautiful lace inserts and has tiers of flouncy ruffles which makes it feel so romantic. Accessorize with shell jewelry and barely-there sandals.